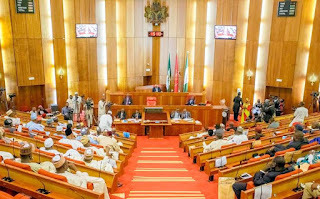 The Senate on Tuesday asked the federal government to recover N42 billion grants as import duty waivers to six companies including Dangote Limited and BUA Sugar Refinery between 2013 and 2015. The upper chamber also asked the federal government to compel Olam International Limited, Popular Foods, a subsidiary of Stallion Group, and Milan Group to pay the import duty demand notice of N24 billion served on them by the Nigeria Customs Service (NCS) for exceeding the quota granted to them on rice importation during the period. The Senate resolution was the fallout of the adoption of the report of its ad hoc Committee on Import Duty Waivers, Concessions and Grants which investigated the indiscriminate use and abuse of waivers granted by the federal government to some organisations. Presenting the report, the committee’s chairman, Senator Adamu Aliero, put the total amount to be recovered as grants for rice importation at N10 billion. He listed the organisations meant to repay the N10 billion rice waivers and the respective amounts they should refund to include: Dangote Limited (N1,031,038,848); Kersuk Farms (N1,927,800,000); BUA Group (N3,704,126,328); Elephant Group (N1,501,627,680); Golden Penny (N284,602,399.20); and Milan Group (N1,855,263,312). He added that the sum of N31.7 billion, representing 5 per cent import duty and another 45 per cent levy for 2013, as well as 5 per cent import duty and 65 per cent levy for 2014-2015 grants for the importation of raw sugar, should be recovered from BUA Group for obtaining a waiver for the importation of raw sugar without what he described as the backward integration policy for local sugar production. He also said Mediterranean Nigeria Limited should be made to pay N82,101,866.10 as import duty for excess and under-invoicing 2,161,440 kilogramme of St. Louis cube sugar in June 2014. In the same vein, the Senate resolved that the sum of N687,496,320, which the committee described as an illegal amount for the transfer of 100,000 metric tonnes of rice by JNI to Elephant Group, should be recovered. It also said Elephant Group and officials, who were involved in the transaction, should be sanctioned for alleged economic sabotage, noting that the waiver was offered as charity grants and not for commercial purpose, because the company only donated foodstuffs to secure the offer. The Senate also resolved that firms, which were illegally granted customs duty waivers and concessions through flagrant abuse of executive powers, must be made to refund such losses, as it described the amount as a huge loss of revenue to the federation account. It also said the companies should be sanctioned for economic sabotage. According to the committee, organisations such as Mc Sally Investment Limited, which it said was not a player in the sector, got a waiver and imported 250,000 metric tonnes of vegetable oil, adding that it was detrimental to the economy. 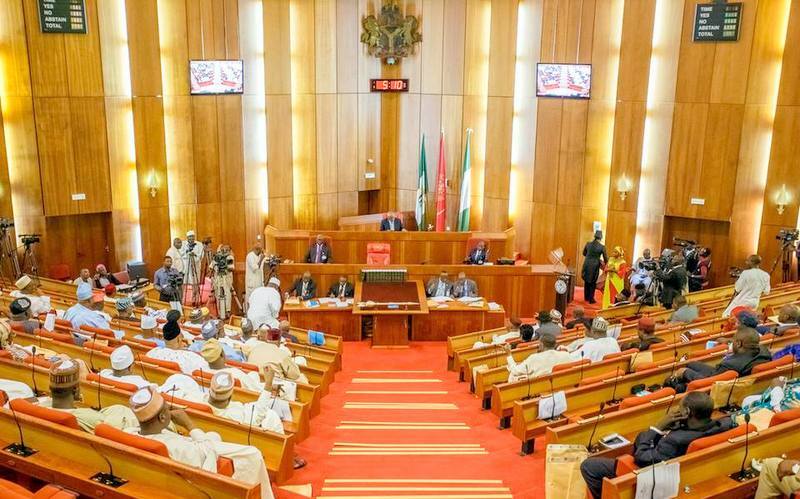 In the same vein, the Senate said Elephant Group should be sanctioned for securing a waiver and importing 100,000 metric tonnes of parboiled rice without being a rice farmer or miller as provided for in the National Rice Policy. The Senate called on the federal government to ensure that the grant of multiple incentives in the form of multiple duty waivers, concessions, pioneer incentives and grants at the same time to the same beneficiaries should be stopped henceforth. It also asked the NCS to accept only bank indemnities and not corporate indemnities to avoid future loss of revenue to the government. It advised the federal government to as a matter of urgency restructure and streamline the functions and responsibilities of the Budget Office of the Federation with a view to preventing abuses and excesses in support of duty waivers, concessions and grants. It also said in line with international best practices, the federal government should take appropriate steps to evolve a clear-cut policy on import duty waivers, concessions and transparent grants. The Senate further held that federal and state governments’ contractors should no longer enjoy import duty waivers, just as it said institutional weakness in the system should be addressed through the review of all relevant laws such as Customs and Excise Management Act and Nigeria Export Promotion Council Act, among others.